Usain Bolt won an Olympic gold medal in the 100m race yesterday, but it wasn't a specially formulated energy drink, bar or smoothie that helped fuel him for his Olympic win. Bolt admits he ate at McDonald's before it was time to run. "It had vegetables in it, so don't judge me!" he said. "I had some plantains, some hash browns, fruit, then a wrap from McDonald's. For lunch I had rice and pork and some apple juice." 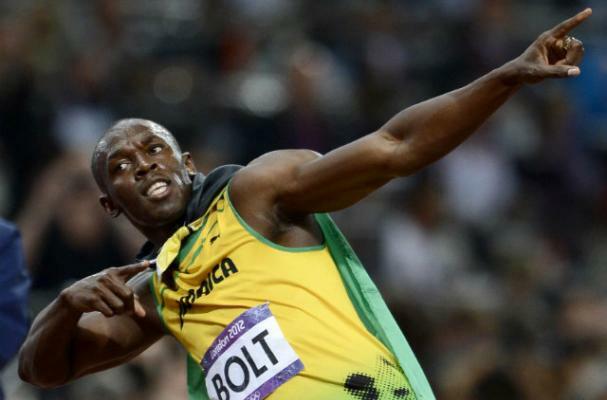 Bolt said he has also munched on a few McNuggets during the London Games.